I admire you tackling Zola’s works, Lisa. Is there a particular reason why you chose this novelist above others? HI Kim, Yes, ages ago, Emma from Book Around the Corner published a list of French authors worth reading, and Zola was among them. I had finished reading Balzac’s Comedie Humaine (which took me 6 years altogether) so I took on Zola because he was doing something similar to Balzac, the depiction of French life through a tumultuous period but through one family rather than the whole society. He’s a sort of French Dickens IMO. 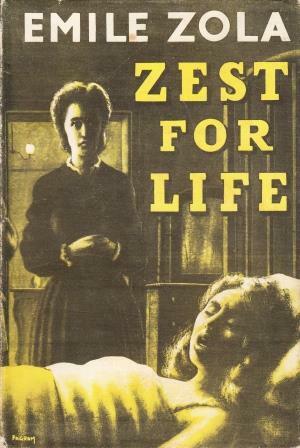 It seems strange that Emile Zola would call his saddest book, ‘Zest for Life’. Yes, it seems odd. But for Pauline, it’s true. Her optimism, her altruism, her indefatigable nature, are what give her a zest for life. And (though the argument is weaker) it’s also true of M. Chanteau. His life as a chronic invalid is, to my mind, not worth living. The health regimen he is prescribed by his doctor restricts what he can eat to such a degree that he doesn’t even have the pleasure of a meal to brighten his days, and in the end he can’t even play cards with his friends because his hands are so deformed. Yet (and he’s not religious at all) he still wants to live. I can see that Zola has structured this novel to show this joy in living even in disastrous circumstances, but I still felt so very sorry for them both.